During the past six years I've lived and been photographing north of Boston, I've come across so many beautiful locations for portrait sessions. And many times when someone books me for an engagement or other lifestyle shoot, they're at a loss as to where to go. I'm more than happy to suggest places, but I thought a little photo essay might help to make a decision. If none of these places seem quite right to you, sometimes the best place to go is someplace you're comfortable - if it's an engagement session, how about the place where you got engaged? Or met? If you're looking for family photos, I'm more than happy to come to your home (especially if you have a baby - I know it's easier to keep them in a comfortable environment they're used to) and set up a mini-studio. Or just walking around your local town or neighborhood is fun. But these are some of my favorite places... Even if you're not interested in getting your photos taken, these are just great places to visit north of Boston, period. There are so many more I could list, but I don't have photos yet. So, maybe there will be a part 2! EDITED TO ADD: No part 2 (yet), but I did add a couple more places I've discovered through my amazing clients! If you'd like to get more info on hiring me to shoot your engagement or portrait session, just click on over to my contact page! I'd love to start brainstorming ideas with you. 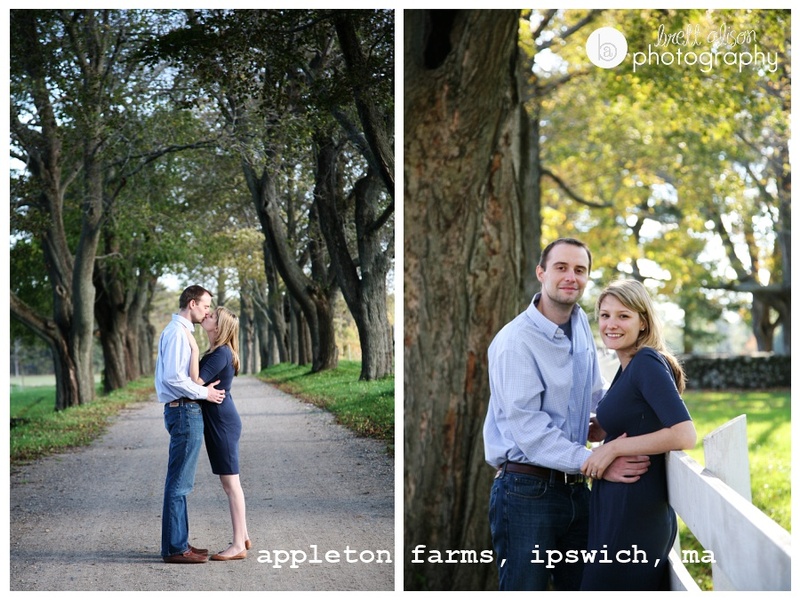 Appleton Farms is a fun place to walk around and explore - there are some long pathways that worth the time to wander down, as well as the main farm area which is also great for photos. Long Hill in Beverly has a great combination of forest/gardens/estate, so you really can't go wrong for photos! One of my all-time favorite spots! I've probably done more engagement and portrait sessions here than anywhere else in or around Boston. It's a beautiful place, whether it's spring, summer or fall (I haven't actually been there to shoot in winter - yet!). An awesome beach for some summer photos! It was a perfect evening here with Melissa and Jamil for their engagement session. 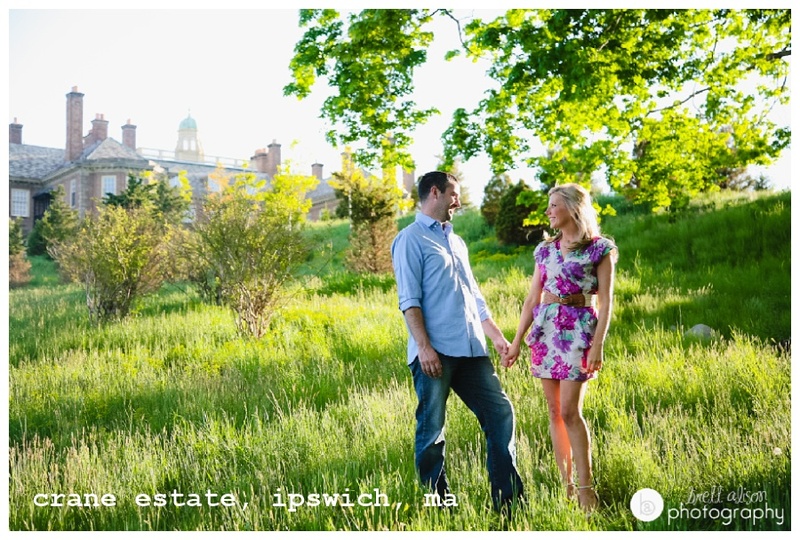 This grand estate in Ipswich makes a dramatic backdrop for an engagement session! Audrey and Eli were looking for a place with a nice barn for some photos on the northshore to match their wedding theme of "rustic elegance." Russell Orchards in Ipswich was great for that - bonus, grab a cider donut on the way out! 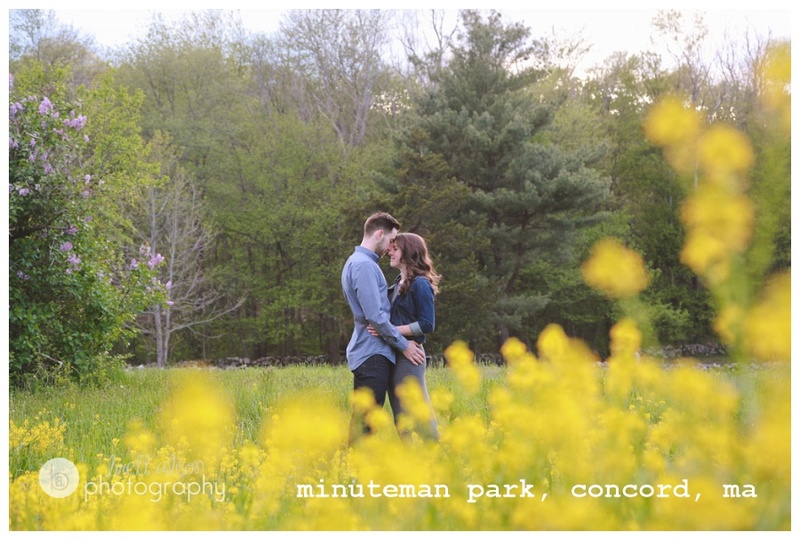 Tai and Chris were having their wedding at the Barn at Gibbet Hill, and arranged to have their engagement session there as well (I believe you need to call ahead, so make sure to look into that before going). Here is the classic New England red barn and silo backdrop, and then up a very steep hill to see some amazing ruins (plus a great view from the top). I love Newburyport! I'm there all the time since I live pretty closeby. Try Dolce Freddo Gelato if you get a chance (Caramel Brownie is soooo good!). 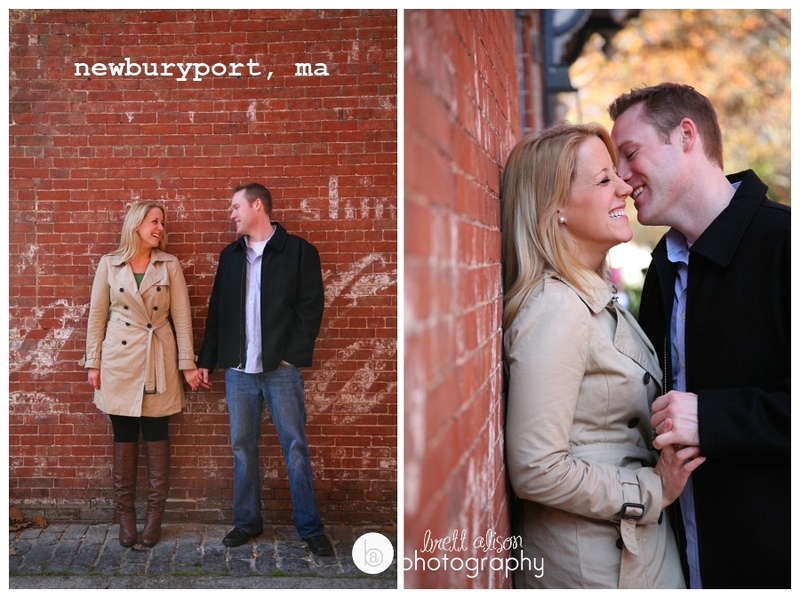 Newburyport makes a great spot for engagement photos because of the charming brick buildings and beautiful views of the river nearby. I had been wanting to do an engagement session at Salem Willows and when Aly and Sam were looking for a fun location for engagement photos near Boston, they were excited to try it! They both love skee-ball, so I got some photos of them doing that (not pictured below), but after some games we headed outside, and there is a really lovely park outside of the arcade area. Kathryn and Robb have ties to Harvard, so they wanted to start with photos there and then wander around Cambridge to the river for their engagement session. It's not toooo far north of Boston, but, hey, it still counts! I love love love this hidden gem. It's a tiny little island between Newburyport and Amesbury, in the Merrimack River. Katelyn and Cory suggested it, and I'm so glad that they did! 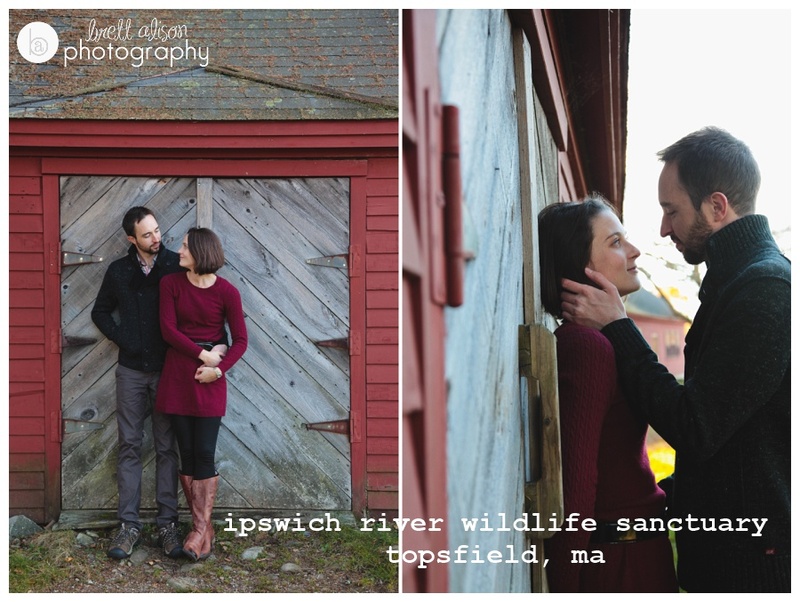 Tina and Jacob would often take long, meandering walks through the Ipswich River Wildlife Sanctuary, so they felt it was natural to have their engagement session there. Such a beautiful spot, especially with all the vibrant colors of fall in New England.